Velocity Swimming (VS), (www.velocity-swimming.com) of Wenatchee, Washington (USA) is seeking a dynamic, motivated, and highly skilled Head Coach to lead our year-round competitive swim program in the beautiful Wenatchee Valley. We are seeking an ASCA level 3 or higher Head Coach for our competitive swim club. Velocity Swimming is open to considering the right candidate with equivalent experience. 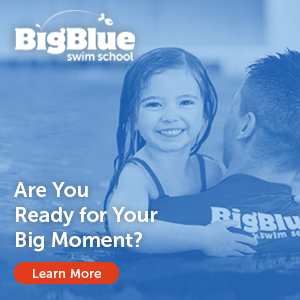 • Day-to-day direction, hands-on guidance, and involvement in all aspects of the swim program, including, but not limited to, exceptional communication skills with parents, swimmers, board members, and coaching staff. • Be a member in good standing in USA swimming and support the ongoing implementation of USA swimming rules, regulations, and safe sport policies. • Be involved in implementing club policy with an overall vision and progression toward growth and improvement of the Club. • Take the lead in maintaining and developing new club policies to benefit the overall welfare and development of the Club. • Must execute Club policy as it pertains to the events, administrative functions assigned, or structural make-up of the Club. • Manage the coaching staff and ensuring that motivation and technical feedback is presented equally to all swimmers regardless of skill level. • Other duties and responsibilities as assigned by the Executive Board. Minimum Qualifications: • Passion for the sport of swimming • Exceptional organizational and leadership skills • Experience in developing swimmers from entry level age group swimmers to National Qualifiers • Ability to positively communicate critiques of swim technique and provide motivational goal setting • ASCA Level 3 Certification or equivalent skills • Excellent communicator (verbal and written) • Bachelor’s degree desired • Member in good standing with USA Swimming including being current on all background checks, certifications, and athlete protection training • Proficient computer skills (Team Unify, Team Manager, Meet Manager, Office, Google calendar and docs) • Basic financial skill set (P&L statements, budget process) • Experience in mentoring/developing subordinate coaches. Coaching: • Active involvement in the recruitment, development, and progression of swimmers at all levels of our program. • Primary coach for Senior level group. • Determine the assignment of swimmers to training groups, to include assessments and approval of swimmer advancements. • Design and oversee the implementation of the seasonal training plans for all groups. • Develop and/or ensure workouts are appropriate for the age group, including dryland training and regular stroke/technique clinics. • Develop long-term team/group goals and swim programs to meet these goals including seasonal and weekly training programs. • Work with swimmers to determine appropriate individual goals and develop tailored training to meet these goals. • Foster team spirit by exhibiting and maintaining a positive attitude and team building. • Endorse VS’s focus on helping kids learn life skills such as discipline, goal setting, time management and healthy habits that will benefit them throughout life through the sport of swimming. Swim Meets: • Develop season meet schedule (SCY and LCM). • Ensure all swim meets have adequate coaching coverage for all swimmers participating. • Prepare meet entries in accordance with meet calendar and entry procedure for each meet. • In the event of a travel meet, head coach will work with the assigned group coach to create the itinerary and select transportation and lodging within the Board established budget/policy guidelines. • Assist in planning the team travel budget, as needed. • Serve as the meet director for our home meets, including overseeing/supporting the volunteer coordinator’s efforts to ensure parent volunteer hours are met. Administration: • Attend all monthly Board of Director Meetings. • Lead monthly meetings with coaches to ensure they are meeting coaching goals and standards established by the head coach. • Complete all required paperwork in a timely manner, including but not limited to job reviews, pool contracts, and monthly coach’s report to the Board. • Manage and submit team entries for all meets. • Maintain current coach’s credentials as required by USA Swimming. • Along with the Board of Directors, work with local city and business entities to ensure consistent swim schedule and pool/facility availability. • Communicate to the Board of Directors any issues concerning schedules, facilities or contracts. • Actively support team fundraising activities. • Assist the Board of Directors with the development and implementation of the annual budget. Propose annual items to be considered for the budget and conduct Club activities in accordance with the parameters of the budget. • Represent VS through active involvement in the Inland Empire LSC. Professional Development: • Responsible for coordinating and scheduling the continuing education for the Head and Assistant Coaches. • Will conduct him/herself in a professional manner always and in accordance with team and USA Swimming Code of Conduct. • Recruit and retain coaching staff within budget determined by the Board; termination requiring Board review. • Develop training plan for all coaches, including the development of goals, evaluations, and monthly staff meetings. • Ensure assistant coaches are fulfilling their responsibilities as assigned. Communication: • Communicate effectively to team members with weekly emails, monthly newsletter, and website/social media • Maintain weekly working hours off the deck/outside of the pool • Be exceptional in the application of positive, consistent, and effective motivation strategies when working with swimmers, parents, and coaching staff in relation to all aspects of the program. The team will be offering a competitive salary based on experience and qualifications. The anticipated salary range for the head coach will be starting at $38,000 to $45,000 depending upon the skill set and qualifications of the candidate. Meet travel per-diem, cell phone allowance, and certification upkeep are paid by the team. Calvert Aquatics Club (“CAC”) is seeking applicants for two Assistant Coaches – (1) Age Group Coach for ages 8-12 and (1) Junior & Senior Silver Coach for ages 12-18. This position is open effective August 1, 2019. Application deadline is May 1, 2019. All qualified candidates are encouraged to apply. Please submit resume including references and salary expectations to [email protected]. Oversight of all swim operations, including regulatory compliance, safety, discipline, ensuring an effective – efficient swim staff roster. Key advisor to the the Board to fulfill the strategic plan and mission. Work with board to develop annual swim operations budget and forecast expenditures. Lakeside Aquatic Club (LAC) is a 501(c)3 non-profit organization focused on bringing all levels of swimming to the area from learn-to-swim programs to national level development. LAC is one of the largest and most successful teams in the state of Texas, with over 1,000 swimmers. Our swimmers are Olympic Trials qualifiers, Paralympic Trials qualifiers, high school state champions, collegiate athletes and NCAA champions. LAC is a USA Swimming Silver Medal Club and has been a two time Gold Medal Club. LAC currently operates in 5 facilities in 3 areas in NorthEast Tarrant County and Southern Denton County: The Colony, Flower Mound/Lewisville and Keller. Three of LAC’s current facilities are school district owned and operated, two are city owned and operated and LAC has great relationships with all facilities and management. LAC’s programs span from Learn-to-Swim all the way to Masters swimming for adults. All Programs are taught by highly qualified coaches using our proven curriculum that makes transitioning from one level to another seamless and successful. Develop and coach LAC programs as assigned. Plan, prepare, and conduct team practices in accordance with the LAC curriculum. Follow a seasonal, weekly, and daily training and practice plan for assigned groups based on the Head Coach’s vision. Maintain an accurate swimmer roster and attendance records. Proactively develop and maintain professional relationships with current swimmers through constructive feedback, encouragement, and general interaction. Perform responsibilities as assigned in the current LAC Administrative Duties list. Communicate professionally with swimmers, parents, and coaches by promptly answering telephone calls and emails according to LAC policies and procedures. Able to communicate and engage all ages in practice and keep them excited about training at a high level. Energetic, patient and gives simple instructions. Must be able to foster an environment of excellence in swimming through drills, dryland, aerobic/ anaerobic training and racing. Understands stroke development and advanced aerobic training for age group and senior swimmers. Computer proficiency, including email, Internet navigation, Team Unify, Meet Manager and Microsoft Office software. ***This position comes with full benefits. DAYTON RAIDERS SWIM CLUB( currently a 180 member, USA GOLD MEDAL EXCELLENCE TEAM) is seeking qualified applicants for a full-time assistant to work with our 3 senior groups/athletes, including our national level athletes. We are looking for coaches that have a passion for swimming and enjoy working and developing young people. The Dayton Raiders is a supportive board run organization with a professional staff and motivated athletes. Applicants must be team-oriented, possess a strong work ethic and be passionate about swimming. The ideal candidate will also be knowledgeable about stroke mechanics and have good teaching and communication skills. Additional experience and/or education outside of the sport including technology, marketing and business administration are particularly valuable. The candidate will report to and work closely with the head coach and is expected to be heavily involved in all aspects of the athlete development and planning making this a unique coaching and learning experience for the candidate. This position requires approximately 25-30 hours weekly for on-deck coaching and an additional 1-15 hours of planning and other administrative tasks each week. Attendance at 1-2 meets/month is expected and will often require weekend travel away from home. Establish and maintain communications with both athletes and parents. Assist in the design of seasonal training plans for training squads. Responsible for leading and/or assisting one or more of the Senior Squads through both dryland and water training. Attend competitions as assigned by Head Coach. Create a positive team-oriented environment that inspires excellence. Help in entering meets on OME. Be willing to use Commit for logging workouts. Be innovative, as well as, not afraid to challenge the coaching staff, as well as, athletes. Being able to bring recruitment ideas to the table or summer league ideas is a plus! Be compliant with all USA Swimming coach certification requirements. Successfully pass all back-ground checks. Ability to enthusiastically coach and provide positive feedback to all athletes. ASCA Level 3 or higher preferred. Approved expense reimbursement for continued coach education/training, swim meet travel, approved equipment purchases, etc. The Volunteer Coach will assist the coaching staff with the day-to-day functions of practice, on-campus recruiting visits and administrative duties. This is an unpaid, volunteer position. It is an excellent opportunity for someone looking to learn the operations of a Division I program with the eventual goal of becoming a college coach. Work Hours: Seasonal Full or Part time, weekdays and or weekends. No relocation offered for this role. The RecPlex has a competitive swim team with annual enrollment of over 230 swimmers, 320 learn to swim members, and growing competitive success both locally and nationally. The Aquatic Supervisor position provides experience in learn to swim, swim team, organizational business/budget, and event management. It is a full position, including health/vision/dental insurance and Wisconsin Retirement System for municipal employees. Santa Clara Swim Club is seeking a full-time Club Manager to support the Head Coach/CEO and Board of Directors. Responsibilities include, but are not limited to, general club management, club communications, human resources, and managing the activities of all managers and administrative staff. Responsibilities also include enhancement of internal controls, maintenance of the Club’s policies and procedures, city and facility liaison, insurance compliance, and regular reporting of relevant membership information to the Board and management team. The Club Manager will report to the Head Coach/CEO. Has a significant role in developing, modifying and executing company policies that affect immediate operations and may also have company-wide effect. Advises management on specialized technical or business issues. Implements strategic policies when selecting methods, techniques, and evaluation criteria to obtain results. Key relationships with important customers and vendors have been developed. Has the ability to change the thinking of, or gain acceptance from, others in sensitive situations, without damage to the relationship. Salary will be commensurate with nonprofit organizations. Full-time benefits include medical, dental and paid vacation/holiday. Santa Clara Swim Club is a 501(c)3 non-profit organization that has been developing champions since its founding by George Haines in 1951. His vision to develop world-class individuals through the sport of swimming remains the cornerstone of our program. In keeping with Haines’ philosophy, our coaches and swimmers identify themselves as both educators and students with the pool as their classroom. Our quest is to ignite the potential in each of our athletes by embracing the values embodied in the Olympic charter: The pursuit of personal excellence; Harmony between mind and body; Joy found in effort; Health and Fitness; Respect for others; Ethical conduct; Fair play. The club has received many awards and honors throughout the years. These range from World Records, Olympic Champions, World Champions and Sullivan Awards, to Male and Female World and U.S. Swimmer of the Year. Our team has been a USA Swimming Gold or Silver Medal Swim Club since 2014 and home to over 1,500 swimmers. The team trains in multiple locations in Santa Clara County including Santa Clara, Milpitas, and Morgan Hill. Established in 2012, Beach Cities Swimming has made it to the National Stage in swimming in a very short time, earning Bronze and Silver Medal Status in the last years in a row. We’re looking for coaches who want to be a part of The High Performance Team in the South Bay. We are proud of what we have done is such a short time and are looking for energetic professional swim coaches. We are located in Redondo Beach California. Our LSC is Southern California Swimming and we are part of the Pacific Committee. We are looking coaches who can teach and assist throughout the program and want to be a student and fan of this great sport. Who will be responsible for on deck hours, limited administrative duties. Could oversee a range of athletes between Pre-Comp to Pre-Senior levels, depending on experience. Will be a direct report to Head Age Group Coach and/or Head Coach. Coach will be responsible for 1-2 weekends a month for swim meets or training. Organizational and communication skills are a must! Have obtained proper certifications and clearances through USA Swimming and have 1-2 years of coaching experience. Compensation: Very competitive, hour to start. Assist in the design of seasonal training plans for age group training squads. Responsible for leading and/or assisting one or more of the club’s training squads through both dryland and water training. Help select individual’s meet events and complete training squad entries in TeamUnify. Able to meet USA-Swimming Coaching Safety Requirements and pass all applicable background checks prior to starting employment. 6. https://www.mtsac.edu/hr/pdf/faculty_equivalency_form.pdf: All candidates not holding the stated minimum qualifications who are requesting consideration based on an equivalency, must complete this form to be considered. The District participates in the Public Employees’ Retirement System (PERS), State Teachers’ Retirement System (STRS) retirement programs, and MetLife Social Security Alternative Plan. 10. Late afternoon and/or evening assignments may be required as part of the regular contract. The incumbent may periodically be required to get to a variety of locations. If operating a vehicle, employees must have the ability to secure and maintain a valid California driver’s license. Interviews may include a writing sample, committee presentation, teaching demonstration, and/or performance test. The committee will recommend finalists to the President/CEO and/or Vice President of Instruction for a second interview. The number of vacancies is dependent on student enrollment, College resources, needs, and Board of Trustees’ approval. The starting date will be determined following Board approval and receipt of live scan clearance. To be guaranteed consideration, it is the applicant’s responsibility to ensure that all required materials are received before the initial screening date and time indicated on the job posting. Incomplete application packets will not be considered. All application materials will become College property, will not be returned, and will not be copied. Please visit our employment website at https://hrjobs.mtsac.edu to complete and submit your application for this position. NOTICE : In order for your reference to receive an email with a link to attach a confidential reference letter, you must complete your application and reach the status of “Under Review by HR”. It is recommended that you complete your application and reach this status well in advance of the deadline to provide your reference ample time to attach the letter. Assuring facilities and equipment are prepared in advance of practice sessions and meets. Assisting in the production and management of swimming meets including NCAA, high school, USA Swimming and YMCA sanctioned competitions. As with all members of the College, the Assistant/Associate Swimming Coach and Aquatics Director must maintain positive and professional relations with students, athletes, alumni, the media, and Franklin & Marshall College sports fans. Interested in a USA Swim Team Head Coach position without administrative duties, located just a few miles from the beach? The head coach position is a member of the OPST Board of Directors and is supported by several assistant coaches as well as additional volunteer board members. The Ocean Pines Swim Team is continually growing in size and is eager to further their development in USA competitive swimming. The team recently obtained new technology to further expand the team’s access to the most advanced tools possible for the coaching staff to use in their instruction with swimmers. The current year round team has approximately eighty-five, USA Swimming registered athletes who compete in the Maryland LSC. During the summer, the team’s membership increases to 140+ swimmers and also competes in the Delmarva Swim Association (DSA) league. Out of the 26 teams across the Delmarva Peninsula who participate in the DSA league, OPST placed second during the Delmarva Championship Meet in July 2018. COMPENSATION: This is a salaried position with compensation based on qualifications and experience. Job-related education, travel, and other relevant expenses are covered or reimbursed. GENERAL JOB DESCRIPTION: Manage an existing year-round competitive USA swim team and the complimentary summer league team. Oversee daily practices, meets, schedules, and assistant coaches. Contribute to and advance the team mission. Provide coaching to ensure swimmer development and promote team dynamics. Implement and improve on the existing program to attract and retain swimmers. Provide positive representation of the team locally, regionally, and nationally. Maintain registration as a USA swim coach. Instruct swimmers using effective coaching techniques, evaluate performances, and initiate appropriate disciplinary action as needed. Demonstrate swimming technique, observe swimmers to detect and correct mistakes, and provide related feedback to all swimmers. Exhibit professionalism and comply with the USA Swimming Coaches Code of Conduct. Provide oversight and ensure assistant coaches do as well. Track swimmers’ training goals along with attendance figures. Meet individually with swimmers on a seasonal basis to ensure individualized goals are set and progress is monitored. Develop and lead seasonal training plans. Implement “dry-land” strength-training that will complement water training to help swimmers reach their potential. Assume responsibility for the care and maintenance of swim team equipment. Plan seasonal competition schedules for all groups. Review and submit entries (in conjunction with the team administrator) for all swimmers participating in USA Swimming and summer league meets. Coordinate practice times. Consider the needs of each training group based on skill level, coach availability, school hours, and facility availability. Create staff schedules for practices and meets. Evaluate swimmer skill levels. Conduct evaluations initially and periodically to place swimmers in appropriate training groups. Maintain minimum requirements for team participation and criteria for defining the different training groups. Demonstrate the leadership necessary to mentor assistant coaches. Maintain and ensure all necessary coaching certifications are up to date for all coaches. Participate in, and provide evaluation and professional development opportunities to foster an environment conducive to continual learning and enhancement. Utilize expertise and advanced knowledge in providing instructions to swimmers. Provide attentiveness to all swimmers. Ensure critiques and feedback are provided on a daily basis in practice environments for each swimmer based on their skill level and development. Maintain consistent and timely communication. Respond to swimmers, parents, coaches, and board members as required. Attend monthly board meetings. Attend seasonal parent meetings to educate and inform families and team building activities as often as possible. Maintain an up-to-date understanding of researched based, best practices for coaching techniques. Ensure all coaches participate in research and continuing education. Implement training plans and taper strategies for a range of swimmer ages and abilities. Communicate effectively with facility staff. Adhere to facility use requirements. Promote and enforce adherence to facility regulations by all OPST members. Demonstrate reliability. Punctuality and reliability is expected in meeting job performance requirements. Including but not limited to, attendance, timeliness, and deadlines. Collaborate and communicate effectively with Assistant Coaches and the Board Of Directors to enhance the growth of the team. Provide input and guidance for the team to achieve a USA Swimming Level 1 (and above) in the Club Recognition Program and other goals the team identifies. Promote a safe, comfortable, professional, team-oriented environment and spirit of competitiveness. Possess passion and excitement for the sport of swimming. OTHER JOB FUNCTIONS: Perform related tasks as required. Knowledge of current swim coaching techniques, training, and teaching methods. Knowledge of TeamUnify software for attendance, coaching tools (if desired), meet entries, assist in registrations, and to effectively communicate meet details to members (administrative duties can either be done by the OPST administrator or by the Head Coach, based on the preferences of the individual hired for the Head Coach Position). Strong organizational, leadership, and communication skills. Ability to analyze the needs of swimmers with varying levels of ability. Ability to assist families through the college recruitment process and/or provide senior swimmers with relevant information if they expresses interest in competing collegiately. EDUCATION/ EXPERIENCE: Bachelor’s degree in related field, one to three years experience as a head coach of a competitive USA swim club, and personal experience in USA competitive and/or collegiate swimming, are all preferred. A combination of education, training, and experience providing the knowledge, skills, and abilities necessary to perform the essential job functions, is required. WORKING CONDITIONS: In and around both indoor and outdoor pool facilities. Requires traveling to attend swim meets. Short course season practices are held during evening hours at an indoor pool. Long course and summer league season practices are held in the mornings at an outdoor 7-lane, 25 yard, pool. Summer league meets are held Monday and Thursday evenings at either the OPST home pool or away at other local facilities. Typically 7-8 DSA summer league swim meets are held during the season. CERTIFICATION REQUIREMENTS: All USA Swimming Coach certification requirements including First Aid, CPR, Coach’s Safety Training, Safe Sport, and coach education are required. Must be able to pass background check. A letter of interest detailing relevant experience and how you are prepared to fulfill the responsibilities of the Head Coach Position. Include a statement describing your coaching philosophy. List of at least three current and recent references with contact information. References will not be checked until final interviews are conducted and agreed upon by the applicant and the interviewing board. First consideration will be given to applicants who have submitted their information by March 2nd,, 2019. Applications submitted after this date will continue to be reviewed and the position will remain open until filled. A member of the hiring committee will acknowledge receipt of submissions and will contact eligible applicants to schedule an initial phone interview.